Eriko's Emporium: Custom Hat Service! I'm pleased to announce I am now offering a new Custom Hat Service in my Etsy shop! Ever wanted your own unique hat for your girl? Have ideas but can't make it yourself? Here's your chance to get just that! 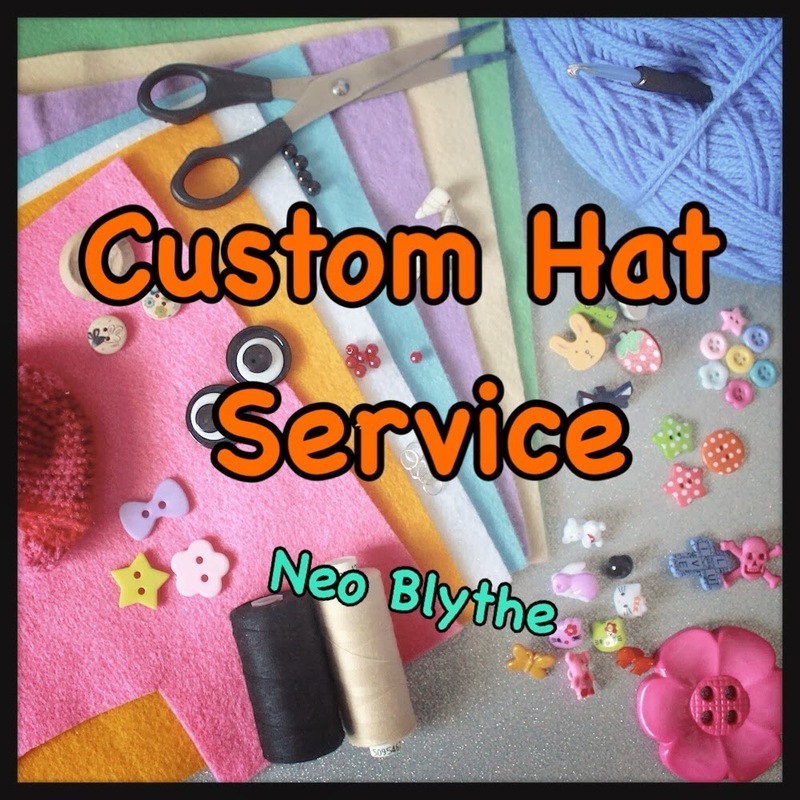 This listing is for 1 x Custom Neo Blythe hat - design service and production.
. Work with you closely on your ideas for your own original crocheted Blythe hat. I can either help with the design by suggesting ideas/colour schemes/materials or take total direction from you.
. Make your hat for you. Your hat will be OOAK - I will never recreate your hat to sell in my shop as my own pattern. Please note I will not make or recreate an existing hat. I respect other crochet artists work and would not dream of coping their designs.